Posted on behalf of Eva Lipiec, a 2016 Knauss Fellow who served her legislative fellowship in the U.S. House Committee on Natural Resources, Democratic Staff. Every day, we are bombarded by stories of partisanship and gridlock in Congress, between branches, and increasingly between our very own neighbors. To break through these barriers, especially after our most recent election, it is important to become more involved in the issues we hold dear and understand how the decisions of our elected officials impact those issues. Personally, as a scientist and voter, it can get depressing – how are we ever going to deal with global problems like climate change and the resulting regional hostility around the world if our elected officials can’t even talk about it in a constructive way? Elected officials are human – No matter what side of the aisle, each person elected to office is a human, warts and all. They may be very well versed in specific topics and have values of their own – but it’s your job to inform them of topics and values that are important to YOU. Local elections really matter! – From the hallowed halls of the Capitol to meetings in local community centers, the people that end up as your officials (whether you voted or not) are your voice! If you want to guarantee they hear you and represent you, you have to vote! Your job is not done once you vote – When we elect an official, they are assuming the role of our voice and are paid by our tax dollars. If something is happening, or not, the best way to voice your support or discontent is to contact them. Every office tracks its constituents in a physical database – and these concerns are depended upon to make real changes. Think your community needs something? Tell your representative, and then tell your friends to do the same. Think you senator should support an initiative? They want to hear from you! Every day, congressional staff meets with groups from all over their district, state, and the nation. These groups represent some, but not all, of your views. Call or email – if the official wants to keep representing you, you will get a response! Have a topic that’s really important to you? – Local businesses? Community poverty? Elementary schools nearby? International conflicts? There are groups most likely in motion already thinking of those issues, so get involved with them! They will be your best source for information and can help lead the charge to inform and push our representatives in the right direction. Oftentimes it’s easy to dismiss the discussions, or lack thereof, in the Capitol and our capitals. However, our democracy only works when each and every person utilizes their rights and holds their officials accountable. In the craziness of our lives, democracy can be as easy as picking up the phone. This post is about plans. You know how this goes. The typical wisdom is that if you plan well for something, it will go well for you. If you don’t plan well for something, it won’t. Simple. And often this is exactly what happens. But sometimes more prominently in our minds are the episodes where we spend exorbitant amounts of time planning only to have the plans fall through. No amount of pre-effort could have precluded that result. Or the contrary episodes where we do no planning at all and something turns out beautifully. I’m thinking of you, impromptu camping trip to Washburne State Park. I have been thinking about plans a lot lately and would like to share with you a few episodes from this the last few months of this fellowship. Bad Planning, Bad End – Interviews: In an effort to end this post on a good note, let’s start with the bad endings. One of the projects I am helping with as a fellow is a report about how NOAA does or could incorporate Indigenous and Local Ecological Knowledge (ILEK) into its scientific programs. To form this report, the team is using methods that hark back to my master’s thesis – interviews. We divvied up a list of NOAA employees who work in ILEK to interview about our numerous research questions. I took my list of 6 and promptly e-mailed them all to set up meeting times. I was new to the team and wanted to meet the deadlines for interviewing. But really, I should have taken the time to prepare for them. I didn’t know who I was calling, what they did, where they are located in the country or anything about their capacity to answer our questions. I took at face value that they would know what I was talking about. The result is that I asked people who did not work in ILEK to tell me about their work in ILEK. I suggested a time for a call that was perfectly acceptable in DC but offensively early for a person who works in Hawaii. I asked to be referred to my interviewee, mispronouncing her name and then accidentally hanging up on her. The strange lesson I learned here is that when on a tight deadline, on time does not necessarily mean that the project is done right or well. Before you discount the report that will come out, I must reassure you that these blunders were all pre-interview and really only made me look foolish. The interaction and exchanges with these experts were fulfilling and enlightening and will contribute a lot of wisdom nuggets to the final report. I just think that with a little more planning, I, and my interviewees, could have gotten a lot more out of these interactions. Good Planning, Less than Satisfying End – Newsletter: One of the first projects I was given when I arrived was to produce a quarterly newsletter referencing and highlighting the science done on protected species throughout the NOAA Fisheries regions. This was meant to be a quick win for the new Fellow. It had the higher ups behind it and the infrastructure in place for me to easily collect the publications. We formed a communications review and distribution plan for the newsletter and by the end of my second month (March), a draft of the first issue was ready. We then went through all of the steps for approval to distribute and that is where the best laid communications plan led to a bunch of hiccups. These hiccups, as in human physiology, were beyond our control, and we used all of the methods to relive ourselves of them – eating peanut butter (stress eating), scaring ourselves (what if it never gets out?! ), drinking water upside down (flipping the angle and trying a different route). Long story of frustrations short, five months and a new name later, the science newsletter was distributed last week. But rather than the feeling of a quick win and, wow look what a fellow can contribute, it was more like the feeling you have when you finally get through a door by realizing that it was a pull and not a push. You’re through the door but it was a lot more trouble than it was worth. To get a little T.S. Eliot – Not with a bang, but a whimper. The lesson to be learned from this is the same that we learn over and over when our best plans do not lead to the end we want: change the things you can, accept the things you can’t, know the difference. Thanks Serenity Prayer. 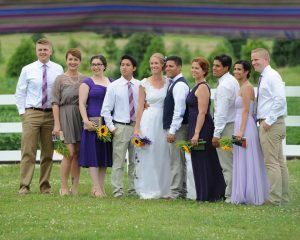 Less than Normal Planning, Beautiful Ending – Wedding: If you know me, you probably know I got married July 10! Now I’m not going to say I didn’t plan for my wedding day, because I did. Quite a bit. But as I evaluated throughout, it seemed like I was doing a lot less planning than my friends who have gotten married and definitely way below what the two bridal magazines I owned suggested. Part of this was me never having dreamed of a perfect wedding. And part of this was due to the largest details depending on a small permission from the US government for now husband to join me in the US. This meant that our planning timeline strongly diverged from the “norm” and that we did not dedicate as much time as the “typical” couple to planning. I most certainly did not Bridezilla on anyone (I think – feel free to disagree). But when the day came and we rehearsed the morning of the ceremony (and the musicians rehearsed two hours before the ceremony), everything came together beautifully. Most of our loved ones were there to share with us, it didn’t rain, no one got hurt, and at the end of the day, Husband and I were married. Enjoy the artsy picture of all of us having a wonderful day. What do I learn from this? I learn that having relaxed expectations (as expressed in my lack of planning) can lead to an extraordinary time. I also learned that my mom really planned most of that spectacular day. Thanks Mom. Good Planning, Good End – St. Croix: Actually, another reason I may have been lax in planning for wedding was because I was spending quite a bit of time planning for a field work trip to St. Croix just two weeks before that day. Part of my professional development plan as a Knauss Fellow included getting some protected species field work experience. So back in April, I blasted e-mails to all of the NOAA scientists I knew doing protected species research this year to see if any of them could use an extra pair of hands and eyes for a week. 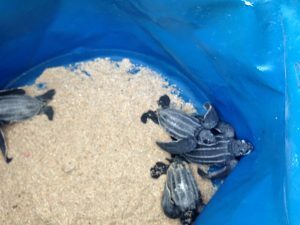 Only three people responded and only one fit my timeline so it was fairly easy to decide to visit Dr. Kelly Stewart and her team monitoring and researching nesting and hatching leatherback sea turtles. In the Caribbean. Some days it’s tough to be a marine biologist. So leading up to this trip I was in communication with Kelly about what to bring, how to prepare, reading her papers, getting up on the methods so that I didn’t make a fool out of myself when I got in the field. I wanted to be useful. I wanted to prove my mettle. And it worked out for me. My first three nights there, I accompanied the team on night patrol. That is, 7:30 pm to 5:00 am patrolling the beach and looking for nesting mamas and/or emerging hatchlings. My first night out, I was rewarded by the most outstanding vision of a leatherback sea turtle I could possibly hope for. With the backdrop of a passing lightning storm, I saw the largest leatherback to nest on this beach. She measures 5’8″, which coincidentally is my own height, and has been coming to this beach to nest since at least 1996. The field team had dubbed her Fiona, named for the Shrek ogress. I scanned her for PIT tags, helped note scars, took down the time, saw her eggs the size of billiard balls and then watched as she suffered back into her preferred environment, the sea. Incredible. My last few days, I accompanied the early squad which patrols the beach at sunset looking for emerging hatchlings and marking upcoming nests. I got to see a “boil” – where the sand bubbles and then out pop dozens of baby sea turtles. I helped collect them to take DNA samples for later lab work and then helped to carry the sampled babies to a more amenable beach for release. The reward here was that several times during that week I had a bucket of hatchlings in my lap looking something like this. Again. Incredible. The lesson? The best laid plans can and do turn out to deliver beyond your wildest expectations for an event. So maybe we should keep laying our best laid plans while continuing our agility training to flexibly respond when we need to. Future plans: Like I said, I’ve been thinking about plans a lot lately. I am mid-way through this fellowship and a very frequent question is: what are your plans for after? Contemplating plans, how well should I lay them? How fixed should I make them? How much flexibility into them? Just in the last few months, I have experienced good plans go well, good plans go poorly, bad plans go poorly and bad plans go well. Maybe the take away is: Do plan. Don’t worry. Be flexible. Enjoy. But I’m open to suggestions. Well. Things have certainly been happening. When you last heard from me, it was nearly a year ago. I was finishing my last quarter of classes and heading into total thesis writing mode. I have since presented at two conferences, successfully defended my thesis and received a M.S. diploma in Marine Resource Management from Oregon State University. What then (you may be asking your computer) am I doing still writing a blog for Sea Grant? It turns out that Sea Grant will support us even after we graduate through different fellowships and I was one of four fortunate ladies from Oregon State to be selected for the Knauss Marine Policy Fellowship. The fellowship is for graduate students (and recently graduated graduate students) who are interested in marine, coastal, and aquatic resources and the national policies surrounding them. This fellowship places these students with a host institution in the legislative or executive government in Washington, D.C. to learn all that they can in one year. So now I am hosted by NOAA Fisheries in their Office of Science and Technology and I work on protected resources topics (think whales, dolphins, sea turtles, corals). We also get to take advantage of being in Washington, D.C. to attend hearings on the hill, special talks and events, and their associated receptions. Never having researched any of these things nor attended any events like the ones here, I have a lot to learn. That said, I am confident I have the adaptable mindset that will allow me to keep up with the crowd while I am here. So. The fellowship began February 1 and I have already done so many things that I could write an individual blog about but time has gotten away from me. So rather than write a detailed blog about each one and fall further behind, I will catch you up with a top ten list of the last month and a half. (Note: my top ten lists rarely reach or stop at 10, nor do they reflect any order of prioritization). That said, I do want to start with the by-far coolest thing I’ve done so far and that is…. That’s right, I went to Peru as part of my fellowship. How? Let me back up. Each fellow prepares a “professional development plan” with support of their host. I was discussing mine with my host and said I want to go to two conferences but was flexible as to which. She suggested I go to the International Sea Turtle Society Symposium on Sea Turtle Biology and Conservation for a crash course in sea turtle biology and conservation (what else?). We looked it up, saw that it was in 10 days, in Lima, Peru and we began turning the wheels to make that travel happen. And it did! And I will use this forum to again thank Oregon Sea Grant for putting in the rush order on approval for the expense. I had been in Peru in a tourist, professional capacity before (see blog about it here if you’re interested), and personal capacity before but never for science! And I had been to conferences before but never with the diversity of attendees I saw at this conference. My previous conferences had been mainly academic researchers talking about many different topics. Here the topic was sea turtles but academic researchers, federal, state officials, conservation groups, and private companies were talking about it. How neat is that? I learned about the techniques of sea turtle research, its limits, costs, and outcomes, the current conservation status and activities in different places, and about different citizen science and development activities happening all over the world. Sea turtle biology and conservation is a new field for me, but if these are the other people who are doing it, I could see myself getting into it. The conference was a sharing of knowledge of beloved critters and a family reunion of the researchers. So that was definitely the best part of the last 7 weeks but before this blog gets too long, on to the top ten list of the first 7 weeks of the Knauss Fellowship. Move in – If you recall, there was a giant snow storm that hit the east coast at the end of January. Shortly after that snowstorm hit, I moved in to my little basement apartment. My dad and I had been on the road for four days when we stopped in sweet home Chicago to let the storm wear itself out. I also got to eat my fill of home cooking before getting the all clear from friends on the ground in DC to come ahead. The storm was over. But the flurry of activity was about to begin. Orientation – My fellow Knaussians may complain about an orientation but I think we would all recognize it as a necessity. After just one overwhelming day in our offices on our own, we were reunited with each other to get an overview of national Sea Grant and a 101 on how to work for the federal government and get everything we can out of this fellowship. I appreciated it for the reunion of my fellow fellows with whom we had bonded so well during placement week. Let me know if you want more information on placement week. NOAA Open House – Just one week after “working” at NOAA, I volunteered to help with NOAA’s outreach event where they open the doors to the federal building and host exhibits for the public to come and learn about what NOAA does. I spent two hours helping kids test their PVC, frisbee, and zip tie buoys by placing them in a pool of water and loading them down with “scientific instruments” (golf balls). I think the record was 170! Then I spent another two hours talking with passersby about marine debris. In the down time I wandered and learned more about NOAA for myself. The day ended with a stop in the hurricane simulator and a free t-shirt. Meeting alphabet overload – The first week or two I followed my hosts around to their meetings and took extensive notes. Later, I would look up the acronyms online and try to figure out what I had just listened to. In one wonderful meeting where I met everyone in our division and heard what they were up to, the boss stopped every person mid-reporting to tell me the meaning of the acronym they had just used. It’s safe to say this office has had fellows before and is looking out for us as we navigate the year. Allies found! Hill experience – I have gotten this in a few ways so far. First, I have gone to a few receptions held in Senate buildings. These were a great introduction to the grandeur that one experiences while looking around the Senate buildings. Let’s just say there’s a lot of marble. Then, I was glad to be invited to accompany Oregon Sea Grant director, Shelby Walker, and Fellowship Program Leader, Sarah Kolesar, to visit staffers of two Oregon congress-folk to talk about Sea Grant and how great it is. I had never been in a senator’s or a representative’s office before and you could say it was like most other offices. But! There were Oregon things everywhere! There was even a square of the PDX carpet in both offices! And when you peered into the offices of other state representatives, you could see that they had decked their offices out to represent their states as well. Alaska has a bear pelt on the wall! The third way I’ve gotten to the hill so far is to attend a house committee hearing on the NOAA budget. Never having gone to a hearing before, I took in the rules of conduct for these meetings, where people sat, the formality with which representatives and witnesses addressed each other, and the flow of the meeting. I learned much more by being in the room than I had by watching a live stream a couple of weeks before. Continuing with thesis sharing – Last week I joined two PIs from OSU to share my thesis research at the National Science Foundation building via a poster. The fellowship affords the flexibility to continue to work on my graduate school projects. This meant I could share my results with NSF in this forum and that I can work on publishing. And this is good, because if they didn’t allow me the time, I don’t know when I would get it done. Over-caffeination – They way to get to know people is to go get coffee. So I’ve been doing a lot of that. So I’ve been drinking a lot of coffee. And I know what you’re thinking – Laura, just order something without caffeine. -To which I respond – coffee tastes good and even the decaf version has a little bit of caffeine so you can’t truly escape it. But it’s worth it because through these coffee trips, I’ve gotten to know the people around me and begun to build my community. Trivia – speaking of building the community. You put one little fact about you in your blurb like “I like pub trivia” and you’ve got people in the office inviting you to come out to play at various places around town. If it’s not coming through that my office is making me feel welcome yet, I should put in more bullet points. Brunch – DC loves brunch. I had brunch three Sundays in a row when I moved here. I love brunch. But even I have my limits of how often I can go out to eat it…and how long I will wait for a table to have it. I guess that’s what living in a city means. Enviro-Run – There is always something to do in this town and one of these things combines two of my favorite things – running and environmental studies. One night, I joined a group of folks for a four mile run on the mall, past the White House, Washington Monument, Korean War Memorial, and Lincoln Memorial. We then met in the upstairs room of a bar called the Science Club and talked about habitat restoration with a NOAA official. How neat is that? Star struck – OK, so not actually movie or rock stars but seeing some big names in marine resource science, management, and policy. And it’s kind of weird seeing people who’s names you’ve read on important federal documents or press releases or studies. I haven’t had time to fully digest this yet, but it’s on my radar. True spring – I know the weather in Oregon is wonderful. I’m not being sarcastic – I do love it. But being here as we head into spring reminds me of what spring actually is and makes me think that I missed it without me even realizing it. The temperature will swing from 35 one day to 80 the next. I biked in shorts and a tank top yesterday but on Sunday they are forecasting snow! And as the weather warms, the deciduous trees trees begin to come back and flower. The dramatic shift from bare to blooming is inspiring and beautiful. OK, so it was a top 12 list with one extra. For a first post on the Knauss, I think this is awfully true to how the first weeks have been – a whirlwind of activities with little time to process and reflect. You can probably already tell that this fellowship will be full of experiences. I hope to share them with you more completely and thoughtfully in the months to come. Would you help us improve our customer service by completing a short survey? How many times have you been asked this question? How many times have you been the one asking it? The number of times I have asked someone to complete a survey has increased considerably in the last three months. In my last post I shared about conducting interviews of select participants in WW2100. Using more than one method to gather data is called a ‘mixed methods approach’ and can deliver more robust results because they were found by more than one way. That is what I intend to do with my qualitative interview data and now my quantitative survey data. Concepts that emerged in the qualitative data can be assessed quantitatively using the survey data. I would like to share some (very) preliminary results from my analyses with you. One challenge that consistently emerged in the interviews was that participants held different expectations for the roles that stakeholders and research team members would play throughout the process. However, although the survey results indicate that stakeholders and research team members were expected to fulfill different roles, stakeholders and research team members did not differ in their expectations for each other. That is, albeit preliminarily, there was not a quantitative difference in expectations for the role of stakeholders and research team members. I’ll have to explore this challenge more. Another aspect of stakeholder engagement that my survey can really illuminate involves the outcomes of having participated in such a process. My survey measured participant concepts of model utility (the scientific results), process utility (was it worth the time? ), feeling heard, and understanding. I then correlated these concepts with a participant’s participation in the project. All four concepts were significantly positively correlated with participation. This means that individuals who reported greater participation also reported greater perception of model utility, process utility, feeling heard, and understanding. How neat is that?! There is still a lot of work to be done but the data are in and now all that is left is to make sense of them. I split my time between the words of my interviewees and the numbers from my survey. 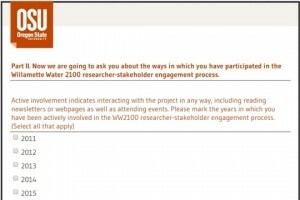 Together they will tell a complete story of the WW2100 science-stakeholder engagement process which can then be read as an example for future engagement projects. Stay tuned for the final results and presentation! Talk to 25 people about the same event and you will get 25 different observations of the experience. This is intuitive especially if you watch any of the multiple crime dramas on TV. Many eyewitnesses can witness something different despite watching the same scene. Add the element of time and the possible observations grows. Add that the witnesses are a diverse grouping of people with different values and worldviews and the possible number of observations becomes overwhelming. Over the last three months, I have sat down to chat with 25 people who have been involved in a large-scale research project to anticipate water scarcity in the Willamette Valley over the next 85 years. This subset of participants in Willamette Water 2100 (as the research project is called) is meant to be representative of the multiple viewpoints engaged in this project and includes university principle investigators of natural and social sciences, county commissioners, farmers, and representatives from state and federal agencies like the Oregon Water Resource Department (OWRD), the Oregon Department of Agriculture (ODA), the Army Corps of Engineers (USACE), and the Forest Service (USFS), among others. The idea is that by talking to multiple witnesses of this project, I can fully characterize the participants and their resulting outcomes after participating. Did each person have a unique experience or did all participants experience the same things? My interviews and analyses will speak to this question and more. These “chats” followed a semi-structured interview format. This means that I had a list of questions or themes that I wanted to talk about but that I allowed the conversation to go any direction so I could follow up on any interesting points that might deviate from my list of questions. The interviews lasted anywhere from 25 minutes to an hour and a half but most were around an hour long. I asked my interviewees how they had gotten involved in Willamette Water 2100 and why. I asked what they had expected coming in to the project and if their expectations had been met. The interviewees also named challenges and successes that the project had faced and identified ways that the project is useful while suggesting methods to present the results to a wider audience. After talking to each person, I took the audio-recording and transcribed our conversation to a text file. These text files are my data. Now, how do I analyze files of words? I have been trained to handle data of numbers and categories entered into Excel to generate graphs and summary statistics. That is not the way to handle qualitative data like my conversation documents. I am just beginning to analyze my words in a process called “coding” which organizes repeating ideas into themes and concepts. For instance, one concept that practically every interviewee mentioned was that participating in this research benefitted them through learning. What was learned may differ among individuals or between groups of individuals, but they are all unified under that concept of learning. Reading and re-reading, and grouping and re-grouping are the next steps for me with this data so that I can accurately characterize the long-term participant experience in this research project. But! That is not the only data with which I will be working. I am also about to launch an online survey to all participants of the process. Where my interviews were targeted based on expertise and experience with the project, my survey will be sent to every person on this project’s list serve. I will ask similar but more specific questions seeking to identify the degree of participation of each individual, their motivations for participating, and their perceptions of the project’s outcomes. The survey will provide me with some numbers to strengthen the conclusions I am making with the words of the interviews. Using multiple measures is a good way to confirm my conclusions. I am feeling pretty accomplished having completed the interview data collection and transcription by the end of winter term. However, as we are beginning the spring term, I realize that there is still so much more work to do. And, while I would rather continue reflecting on my research process with you, I had better return to organizing the reflections of my subjects on the research process they went through. 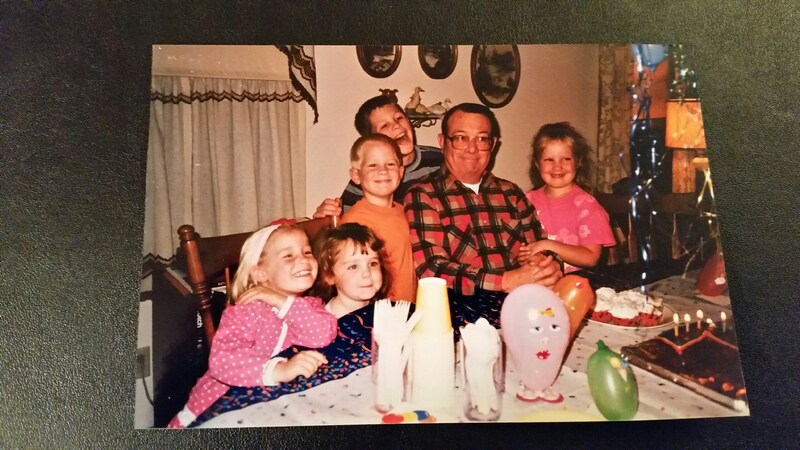 Unlike the police, however, I am not trying to recreate a crime to identify what happened, so I am going to change metaphors now at the end of this post (and let you see a picture of me when I was four years old). Consider the following picture of a party. Everyone is at the same party, but you might imagine, that different attendees will have different comments to make about the success of the party or how they felt leaving it. I want to know what the common and uncommon perceptions of the party were so that I can throw a better party in the future. While it may be weird to interview and survey your guests after a party, coordinators of scientific engagement processes definitely can do this. And then we hope to develop and invite people to better scientific engagement processes in the future. Soy bióloga. I am a biologist. That is what I would always say when introducing myself while working in the Peace Corps in Peru. I had left my undergraduate university with a degree in marine biology and Spanish and was going to use that knowledge to benefit developing communities. It didn’t take me long to realize, however, that, while I could identify any fish given a dichotomous key, I lacked the theory and practice to turn scientific knowledge in to personal and community action. I returned to school for my master’s degree in the Marine Resource Management program at Oregon State University to learn about one of the major species in all ecosystems – humans. Soy sociólogo. I am a sociologist. Since embarking on my graduate degree, I have felt more like a sociologist than a biologist. My coursework has kept me grounded in the natural sciences with introductions to physical oceanography, geology, and biogeochemistry and up to date on my biology in courses like wetland ecology and restoration. But it has also given me insight in to human communities, behavior, and communication with natural resources and community values, marine economics, environmental sociology, and communication and the practice of science courses. I have been learning methods to study human behavior and values in my qualitative research methods course and developing my thesis project protocol. This fall, I advanced my plan to study how university natural scientists collaborate with non-academics in resource management, user, and policymaker positions. 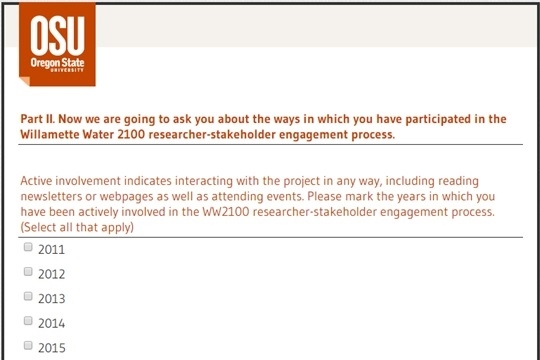 I will be using Willamette Water 2100 (WW2100), a five-year long freshwater modeling effort funded by the National Science Foundation, as a case study for the process of how university researchers work with community “stakeholders” on a long-term and complex investigation of future water availability in the Willamette River Basin (http://water.oregonstate.edu/ww2100/). I realized that I was most interested in the experiences and perspectives of the participants in this process and that if I wanted to find out what people thought about the process of working together, I would have to ask them. And that is where this term’s challenge began. I am a biologist. When I want to study something, I study it. Plants do not require that you ask their permission to study them. Nor do animals, really. Sure, you may have to get past the Institutional Animal Care and Use Committee of your academic institution if you want to study chordates (animals with a notochord), but really, there isn’t much to it. I am a sociologist. This term, I learned what is required to study people. Each university is home to an Institutional Review Board (IRB) whichreviews your proposed human research. They must grant approval before you can proceed with your study. This term I spent weeks preparing my application for IRB approval – meticulously outlining the protocol details of my study, outlining the speech I would give to recruit my would-be subjects, detailing the way in which I would obtain and document their informed consent, drafting a survey they will take months from now, scripting the themes I will use to guide future interviews, and constantly ensuring that the data – their words – will be stored in a safe space for the correct amount of time. Based on the scope of my study, it was accepted for express review, one of the IRB’s reviewing categories, and within fifteen minutes of this meeting, my study was approved. With IRB’s blessing, I can now proceed to ask the WW2100 participants (my subjects) about their experiences and I will begin doing so as soon as the new year begins. This term, more than others, I am so glad to be a student of the Marine Resource Management program and an Oregon Sea Grant Scholar. Both institutions understand the importance and value of the natural sciences and the social sciences. Through opening doors to conferences such as the State of the Coast (in Florence, OR, where I attended and presented in October), and hosting communication workshops (such as the one I attended in November), these institutions are teaching me how to combine the biology and the sociology. Soon I will be able to simply and confidently say: I am a scientist. Soy científica. 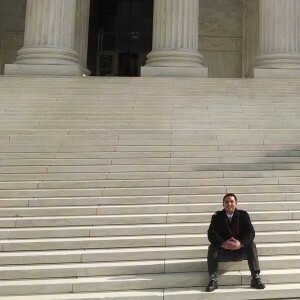 A message from a DC Knauss-er: A view from the 4-month mark. I haven’t introduced myself here yet, I’m Sarah Close. I am one of Oregon Sea Grant’s Knauss Marine Policy Fellows for 2014. I come to Washington, D.C. via Oregon State University, where I finished my Ph.D. in the Zoology department (now Integrative Biology) in January, just a few short weeks before starting my fellowship. I am an ecologist by training and spent my years at OSU traipsing around the rocky intertidal on the Oregon coast as a member of Bruce Menge’s lab. It’s hard not to miss spending time on the Oregon Coast, but I suppose you could view working in D.C. as a different type of field work. I am spending my Fellowship year working as a Climate Adaptation Analyst in the Climate Program Office (CPO) at the National Oceanic and Atmospheric Administration (NOAA). In this role, I work for the Regional Integrated Sciences and Assessments (RISA) program, which supports regional research teams that work with federal, state, local, and tribal partners and stakeholders to enhance preparedness and resilience to climate variability and change. As you may know if you’ve been following the Sea Grant Scholars Blog for awhile, the Knauss Fellowship is a year-long position. I knew this short timeframe would be a challenge going in, especially since my Ph.D. took me five and a half years! In doing the math recently, it occurred to me that I am already almost a third of the way through my fellowship. That’s terrifying. But it’s also a good opportunity to reflect on the experience so far. To say I have learned a lot is a huge understatement. I am amazed every day at how much there is still to learn, but I find myself understanding the context around me better as each week passes. I am, little by little, piecing together an understanding of the science policy landscape from where I sit. My name is Zachary L. Penney, and I am representing Oregon Sea Grant as a 2014 Knauss Marine Policy Legislative Fellow in Washington, DC. I am a recent graduate of the University of Idaho (December 2013), where I completed my Ph.D. in Natural Resources with a primary emphasis in fisheries biology and management. Although I label myself as an Idahoan, I am also Nimiipuu (Nez Perce Tribe), who historically occupied areas in central Idaho, western Montana, southeastern Washington, and northeastern Oregon. So despite the boundary between Idaho and Oregon, I have undeniable ancestral ties to the state of Oregon. After being selected as a Knauss finalist, I traveled to Silver Springs, MD during the first week of November 2013, also known as placement week. As a legislative fellow, I spent the majority of my time traveling into Washington, D.C. (via Metro) and running around our nation’s capital. Coming from rural Idaho, the Metro system was a completely new and, at times, a stressful experience for me. However, after a few days of trial and error, I quickly became a metro expert. Believe me when I say that using the metro is far less stressful than trying to drive downtown Washington D.C.
During the final few days of placement week I spent the majority of my time interviewing with the staff of senators and house representatives. In total, I interviewed with 17 different offices and committees, which at times felt quite a bit like speed-dating. Admittedly, I must confess that before my interviews I thought that I already knew what offices would fit my skill set best. This couldn’t have been further from the truth. After my interviews it quickly became apparent that there was more to selecting an office than which one best fit my background or degree. I found that finding an office that would provide a positive work environment in addition to professional development was also very important. In the end I selected to serve in the office of U.S. Representative Jared Huffman, who represents the 2nd district of California, which lies along Oregon’s southern border. 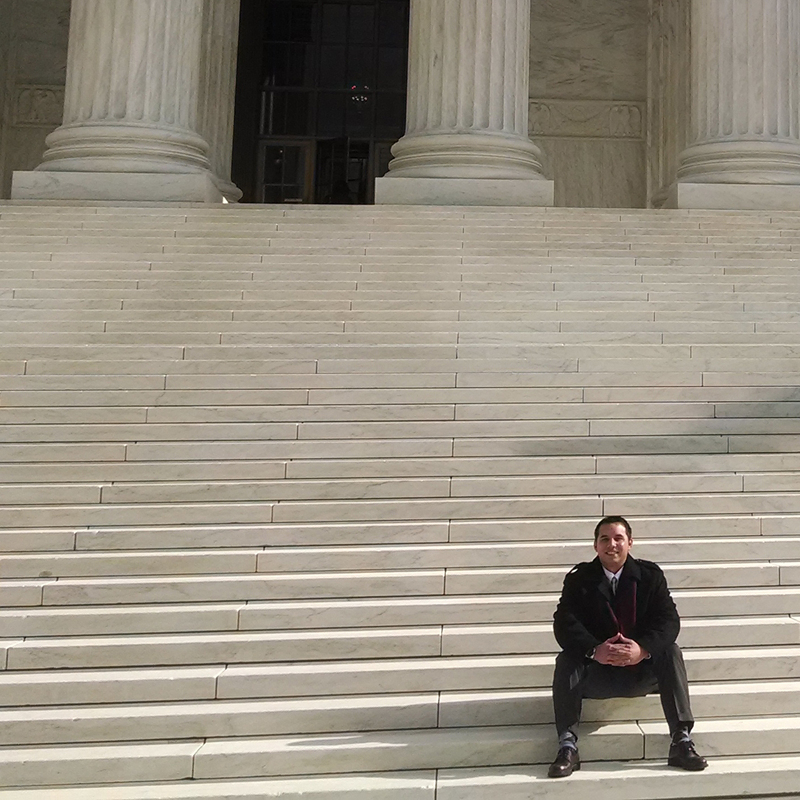 I officially begin my Knauss fellowship on February 3rd, 2014 and am currently looking for a place to rent in the Washington, D.C. area. Considering that 2014 is an election year, I expect that the political atmosphere will be charged, which should provide an interesting experience during my fellowship.